The HSK language exam can be slightly different compared to other language exams. In order to get prepared and have the most efficient revision time we sat down with our director of studies, Gloria Hao, certified HSK examiner and LTL’s Director of Study, to help us understand the structure of the test and prepare for it. HSK 1 & 2 has 2 sections while HSK 3 – 6 has 3. Each section of the exam is worth a total of 100 marks. Questions are worth a different amount of marks throughout the levels of the HSK exams for example in HSK 1 listening there are 20 questions worth 100 marks hence each questions is worth 5 marks. Another example of this is when sections of the exam are divided into further parts such as the HSK writing section. Part 1 of the writing has 5 questions worth a total of 60 marks (12 marks per question) while part 2 also has 5 questions worth 40 marks (8 marks per question). You will be told about the weighting of the marks before you start them. A sound understanding of the writing section is required to give you the greatest chance in passing the HSK exam as it is worth 33% of the exam but also each writing section has a different lay out. 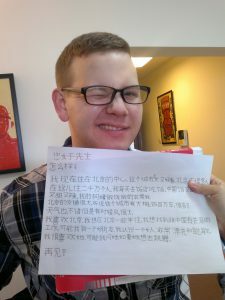 LTL student Christian from Switzerland proudly showing off the written portion of his HSK 4 exam. HSK 3, 4 & 5’s part 1 section of the writing section are somewhat similar. The most important thing to remember when undertaking the writing section in the HSK exam is that any question left blank will be awarded zero marks hence its ideal to fill every question. Even if you have incorrect sentence structure or wrong characters you may be eligible for a lower band of marks instead of zero. However, if sentence order is correct but you use too many/not enough words or a few incorrect characters you may be eligible for the middle band of marks. The high mark band is available to students whom display strong grammar, correct characters and provide an appropriate response to the question. HSK 3 part 2 of the writing section is simply writing characters. Left blank and it will be worth zero marks while on the other hand if the Character is incorrect but similar you may still get the middle bank of marks. HSK 4 part 2 of the writing section is making sentences according to pictures. Similar to the part 1 marking scheme of bands a higher proficiency of one’s language skills will allow them to gain higher marks. HSK 5 part 2 is to write two pieces of creative writing around 80 characters long. For the first piece you are given 5 words to work with and incorporate into your response. As for the second piece you are given a picture and you have to write a story about it. Remember to be eligible for the higher bands you HAVE to use the source material and not just discuss the picture but to actually tell a story through the picture. HSK 6 only has 1 part for their writing section and it is 1 question worth 100 marks. 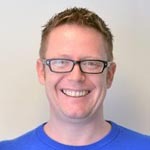 You will be given a long article to read and after 10 minutes it will be taken away. After that you will need to write a 400 character summary of the story. Once the listening part has finished in your exam you use your extra time to look over your answers as once you have finished them you can not go back and repeat them. The set times are important as you can not finish a part early. However written exams vary due to the standards of the teachers/instructors of the exam. The HSK guidelines extensively state that you can only do a certain part once but you may have a more lenient teacher/instructor whom may lax the rules to a varying degree. For more information about the HSK exam, prices and dates, visit our HSK Exam page. Also feel free to check out our HSK Infographic below which gives plenty more information on the HSK Examinations. 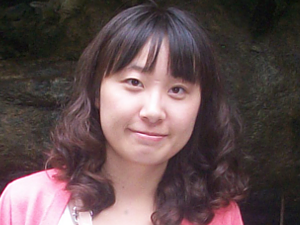 Gloria Hao is from Harbin graduated with a Bachelor in Teaching Chinese as a Foreign Language from Harbin Normal University and taught Chinese for eight years before joining LTL as Director of Studies in 2012. 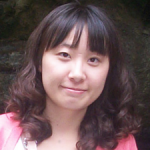 She is in charge of course planning, class planning and teacher management at LTL and has a special interest in the HSK exam. 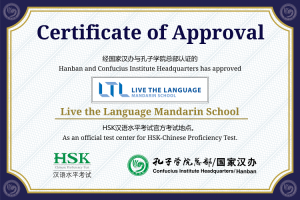 As a certified HSK examiner, she organizes all HSK preparation courses at LTL and supervises the HSK exams at the LTL HSK test centre in Beijing.